You Can Help Make Reform Possible! 2017 – 2018 Sentencing Guidelines Reform – UPDATE! In 2014, Prisology–WITH YOUR HELP–pushed for the adoption of a change to the U.S. Sentencing Guidelines that allowed approximately 46,000 federal drug offenders to apply for early release. Taxpayers have saved billions of dollars as a result of this change, and public safety has not been negatively impacted. In June 2017 the U.S. Sentencing Commission requested comments from the public on what its priorities should be for the 2018 Guideline amendment cycle. Prisology crafted a new idea that, if implemented, would further reduce overly harsh federal sentences. The amendment would alter the Sentencing Table of the Sentencing Guidelines. Our proposed new Sentencing Table can be accessed here: Prisology Sentencing Table. The current Sentencing Table, for comparison purposes, is here: Current Sentencing Table. We put out a call for support, and set a goal of receiving 50,000 support letters in favor of our Sentencing Table proposal. The response from the public was AMAZING! In all, we received 62,236 online submissions. 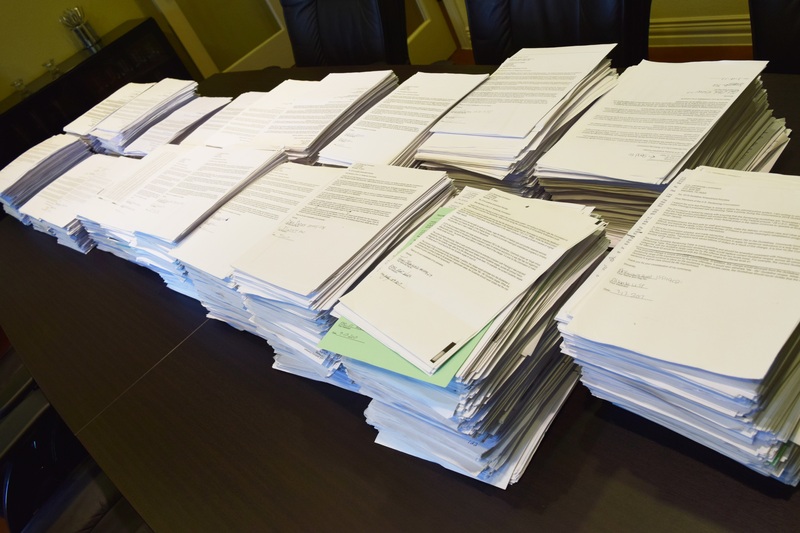 We also received over 22,000 letters in the mail from different individuals supporting our proposal. We are still counting the final tally, but when all is said and done we will have provided the U.S. Sentencing Commission over 80,000 letters supporting this initiative. The Commission will vote in August to decide whether to place Prisology’s Sentencing Table proposal on the Commission’s agenda. If this vote is favorable, there will be a second vote in January 2018 to hopefully propose the new sentencing table for adoption. If that happens, there will be a whole new round of public comment. So we will likely need your help again! The public comment form is now closed on Prisology’s site, but we will keep you posted on this initiative and the other work that we are doing. We post frequently on Facebook, so please check us out there! Thank you for supporting sentencing reform!